Low Stock Alert : Only left ! OOh! this size went out of stock. Please Signin/Signup to get notified when this size is in stock ! Sizechart provided is as per the garment measurement and not the body. 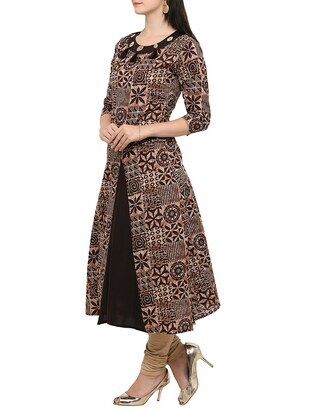 Flaunt sartorial elegance as you wear this kurti from the house of Shopping Queen. Look classy and stylish in this piece and revel in the comfort of the soft Cotton fabric. Pair it with matching leggings and sandals to get complimented for your classy choice. 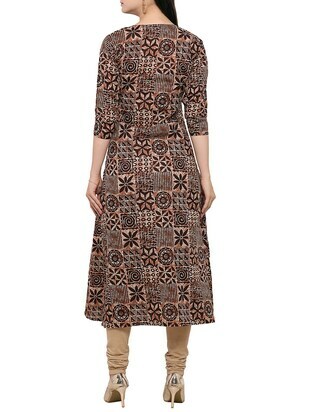 Look pretty in a kurta from Shopping Queen and get it in brown. LimeRoad has something for everyone. Lay your hands on 2XL size kurtas to wear them as casual wear. The best part? These beautiful styles can be taken from work to dinner in a jiffy! Swank this kurta in vivid patterns priced at ₹971. LimeRoad always gives you the hottest styles at the lowest prices. 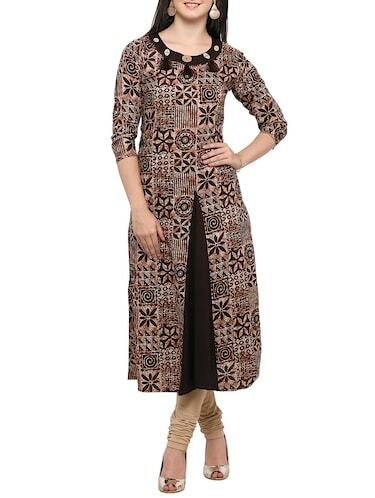 Grab this beautiful kurta made up of cotton fabric featuring round neck designs.